April 11,2018 (Courtesy of CTV.ca)London police are warning the public of an ongoing immigration scam in the city and throughout southwestern Ontario. Individuals receive a telephone call from someone claiming to be an employee of Immigration Canada. Citizens are provided information which causes them to believe they are the subject of an immigration investigation. The threat of arrest and/or deportation is used to convince the person to provide personal and financial information. In some cases, the caller becomes aggressive in nature in order to convince the individual to comply with their demands. Police say there are currently a number of different scams and frauds being used by criminals, but the end goal is to defraud you of your money. Officers urge the public to never provide personal or financial information to anyone unless you know to whom you are providing it. It is common practice for criminals to “spoof” real law enforcement numbers on call display using apps or other software. – Prepaid credit card & gift cards. 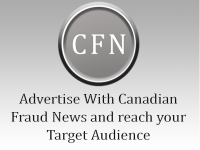 Residents can report any suspicious telephone calls, text or e-mails to the Canadian Anti-Fraud Centre at www.antifraudcentre-centreantifraude.ca or to the London Police Service Fraud Telephone Intake line at 519-661-5515, extension 5257.